New figures on the funding of Local Authorities released by the Department of Public Expenditure and Reform confirm that the Galway city and county councils have taken an overall funding cut of 52 per cent since 2011. 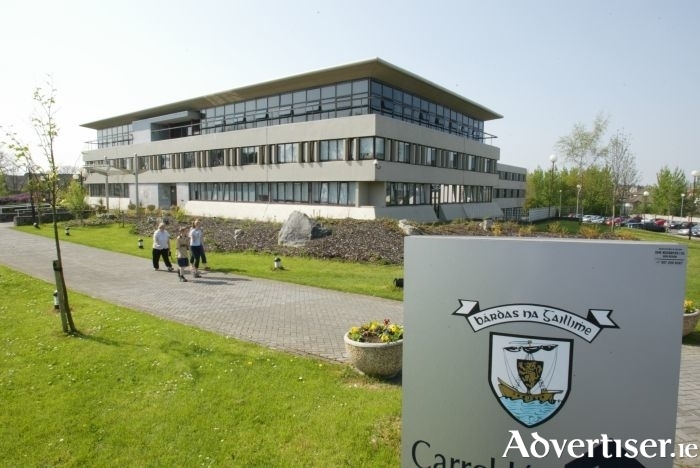 The combined funding streams of both Galway local authorities have been reduced from €116 million in 2011, to €56 million in 2018, with Galway County Council seeing the biggest loss of finance. The county council budget has been reduced from €86.8 million in 2011 to €34 million last year. According to Sinn Féin Galway City East councillor Mairéad Farrell, the fall in funding levels is a result of "the privatisation and centralisation of public services once within the control of local authorities". She pointed out how, in its report the Department of Public Expenditure noted that "a distinguishing characteristic of local government in Ireland is the relatively limited range of functions undertaken by local authorities". Cllr Farrell said: "We already have a very poor track record internationally, however, in terms of funding and empowering local government. The State is one of the most centralised in Europe, fiscally speaking." The councillor noted that decentralisation and autonomous communities are "generally understood as positive values and central components of good governance", as evidenced by the European Charter of Local Self-Government, the OECD, and the stated regional policy of the European Commission. "At the moment," she said, "local authorities, Galway County Council in particular, are not able to provide the services required of them due to the extremely poor financial situation they find themselves in." Cllr Farrell also said she was "worried" the current moves towards a ‘Greater Galway Authority’, was symptomatic of a trend towards privatisation and centralisation of public services within this State.